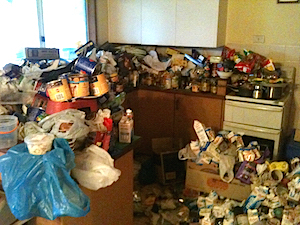 Compulsive hoarding in its worst forms can cause fires, unsanitary conditions (e.g. rat and roach infestations), and other health and safety hazards. Contact us for professional help. 1Often an embarrassing situation for the owner or occupier. 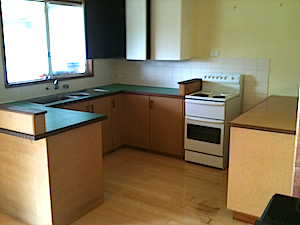 Rubbish Removal Technicians will work swiftly and discretely to remedy the situation and restore the property to a liveable home. 2Rubbish, trash, junk or anything else you no longer require, our Rubbish Removal technicians will remove, pack and cart away. No job too big or too small. 3Our Rubbish Removal service provides personalized hard rubbish, garden waste and junk removal in all Australian areas at competitive rates. We offer a full range of services. 4Tidying your yard of garden and general rubbish can be an awful job and is one that we put off for far too long. All suburbs in Australia. A thorough clean up at the completion of the work . * Junk mail, old catalogs and newspapers. * Worn out cooking equipment. * Things that might be useful for making crafts. * Clothes that “might” be worn one day. * “Freebies” or other promotional products. * Beds that cannot be slept in. * Kitchens that cannot be used for food preparation, refrigerators filled with rotting food, stove tops with combustibles (such as junk mail, as well as old food piled on top of burners). * Tables, chairs or sofas that cannot be used for dining or sitting. * Unsanitary bathrooms; piles of human or animal feces collected in areas of the home, giant bags of dirty diapers that have been hoarded for many years. * Tubs, showers, and sinks are filled with items to the point where it can no longer be used for washing or bathing. Hoarders would thus possibly forgo bathing. * Some hoard animals they cannot even marginally care for; dead pets cannibalized by other pets are often found under the heaps. Pets suffer due to lack of mobility. * Do not allow visitors in, such as family and friends or repair and maintenance professionals, because the clutter embarrasses them. * Are reluctant or unable to return borrowed items. * Steal due to the impulse of possession. * Keep the shades drawn so that no one can look inside. * Get into a lot of arguments with family members regarding the clutter. * Are at risk of fire, falling, infestation or eviction. * Often feeling depressed or anxious due to the clutter.